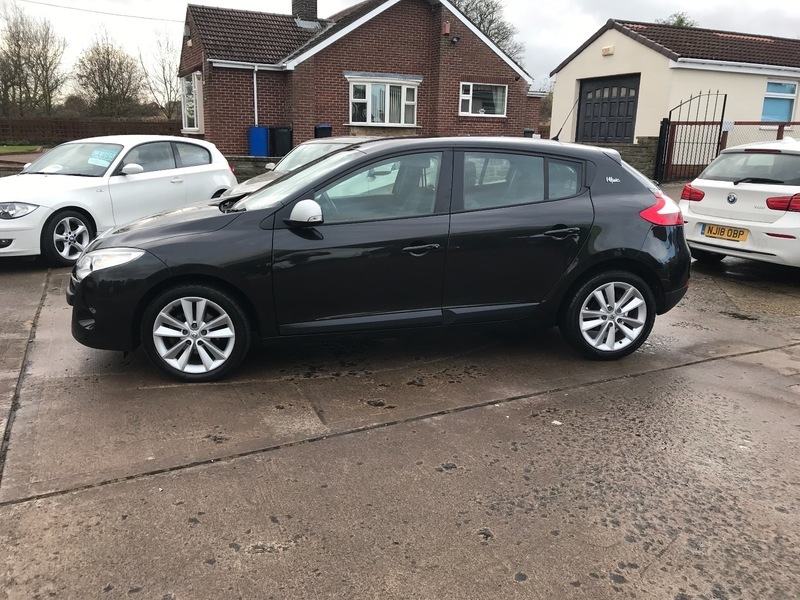 ***AA DEALER PROMISE - THIS CAR COMES WITH A 3 MONTH AA WARRANTY AND 12 MONTHS BREAKDOWN COVER*** This Renault Megane is a lovely car in black, with chrome trims and difficult to beat for its practical features, economy and style. An ideal family car that has covered 77,000 miles. It comes with service history, 2 keys and M.O.T. until Oct 2019. It is in excellent condition and drives brilliantly! The iMusic edition comes with impressive extras and we are sure this car won't disappoint. Please don't hesitate to contact us if you have any queries or would like to arrange a test drive. We would be happy to quote you finance figures if required.